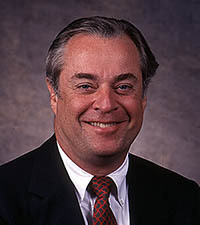 SEMA Hall of Fame - Russ Deane, 2007, SEMA General Counsel. From its inception, one of SEMA’s major objectives has been to work with local, state and federal governments to ensure a healthy and cooperative business environment for the association’s member companies. No one has been more active or more instrumental in those efforts over the past 30 years than Russ Deane, SEMA’s longtime general counsel. He has not only worked tirelessly to protect the legal rights of automotive specialty-equipment businesses, but he has also been active on a variety of committees and task forces to help lead the association to its current size and stature in American commerce. Deane has lived in the Washington, D.C., area for most of his life. He received his Bachelor of Arts degree from American University in Washington, D.C., and he earned a Juris Doctor degree from the Georgetown University Law Center. 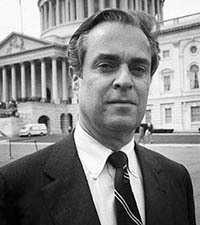 During the early stages of his career, he worked as a legislative assistant to a congressman and was also Staff Assistant to the president of the United States, and he held a number of positions with government agencies. It was during his years at the White House that he was introduced to the automotive aftermarket and SEMA, and he was eventually retained as the association’s Washington counsel and, later, began to represent the group as its general counsel. 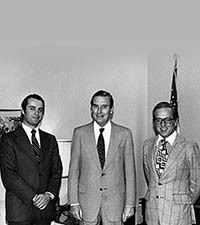 His life-long interest in cars and motorcycles made his relationship with SEMA all the more ideal, but his work with the automotive industry was only part of a very active political and legal career. Early in his work tenure at SEMA, Deane served on the Sound Control and Technical Committees that addressed the noise and emissions-control laws in the states and at the federal level. Emissions matters figured prominently in his work for the association, including development of the Section 27156 Executive Order program, as noted by SEMA Chairman Mitch Williams in his letter to the Hall of Fame Committee nominating Deane for inclusion. Deane also lead the counsel regarding the aftermarket’s legal challenges with EPA regulations concerning vehicle on-board diagnostics systems (OBD), Williams pointed out. 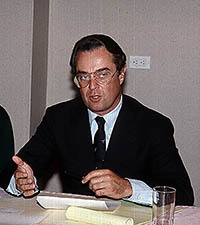 Deane additionally challenged state and federal regulations that could have crippled or severely hindered the industry in the areas of wheels and tires, suspension, lighting and exhaust systems, and he was instrumental in fighting both state and federal “clunker” vehicle-scrappage programs. While he is perhaps the most accomplished attorney serving the automotive specialty-equipment industry, Deane is also a highly skilled and passionate enthusiast. He has raced both sports cars and motorcycles, and he has made numerous long-distance trips with friends on his favorite Harley-Davidson bikes. Even a brief list of those he numbers among his pals reads like a who’s who in the automotive world. Of all the challenges he has faced, however, Deane said that the most daunting has been his effort to save and cure his wife Carolyn from cancer. “Even this challenge has been made more manageable as a result of the prayers and good thoughts from our friends, most of whom are in the SEMA community,” Deane said. He and Carolyn have been married for five years (as of 2007), and Deane has two sons, Rusty, 36 and Robbie, 33, from a previous marriage.